An above average horror exercise with more emotional treats on its mind than manipulative trickery, Ouija: Origin of Evil succeeds where its predecessor failed. Remember Ouija? That board game movie with the young lady from Bates Motel? It doesn’t matter if you do or if you don’t. If anything it’s a damn shame that 2014 pile of trash shares a franchise ancestry with the new movie Ouija: Origin of Evil, which is in its own right a solidly affecting scary movie. Ouija: Origin of Evil eclipses the first Ouija movie in almost every single conceivable way. A “prequel” to the original movie from two years ago, Origin of Evil is less a prequel than it is its own unique film featuring the same board game at its centre. Set in the 1960s, Origin of Evil does a commendable job in bringing the era and personalities to believable life. Our entire world is aware of the steps required in conjuring a genuine Ouija experience, and the filmmakers keep this pre-existing familiarization in their pockets for future exploitation. When the big creepy moments are unleashed, they do genuinely shock and scare. The ability of the film to elicit such response is largely due not its subject matter but rather to the sensibilities of director Mike Flanagan. Flanagan, it’s apparent enough to say, has a true respect for this horrific world and the stories it can open up to tell. He’s a musing conductor of a studio-backed symphony of mainstream terror. But where Origin of Evil’s many contemporaries fail is exactly where this new film succeeds. 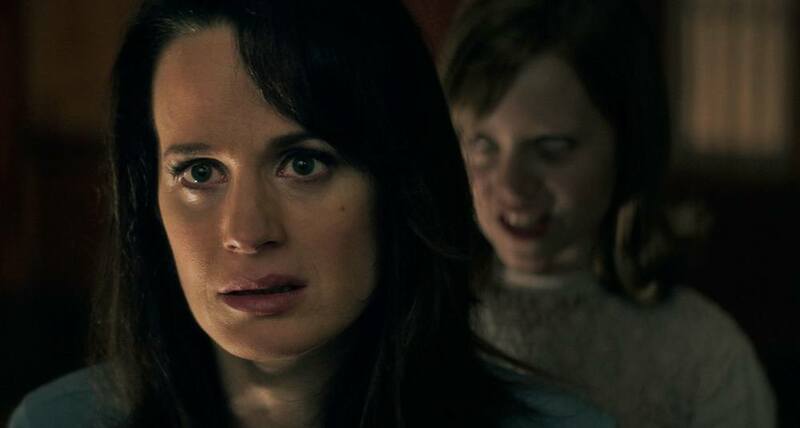 Single mother Alice Zander (Elizabeth Reaser, best known as Esme Cullen in the Twilight saga) lives in an oversized old character house with her two daughters, Lina (Annalise Basso) and Doris (Lulu Wilson). Reeling from the recent passing of their father figure Roger (Michael Weaver), the remaining Zanders are operating a struggling fortune telling storefront where they swindle gullible customers out of their money while trying to offer some sort of genuine relief to the grieving. When one experience hits too close to actual reality, young Doris begins to act as a medium for a wide host of spirits lurking beneath the surface. However, not all of those spirits are as harmless as they initially appear to be. Before you know it Alice is in a life-or-death race to save her children from the clutches of demonic possession. Director Mike Flanagan employs some thoughtful framing and deliberate camera movements to help sell the story well in advance of the scares. Whereas most middle-of-the-road genre pictures would throw everything at the screen to see what sticks, Flanagan and crew feel far more deliberate in their decision making processes. The film is manifested as a strangely affecting domestic drama about a familiar coping with the loss of their paterfamilias. In its approach from the boundaries of the material, the film is significantly more contemplative than most might afford the time and effort. Sadly, there will likely be little to be found at the outset that will convince the non-fanatics to seek this out. The film’s effectiveness lies in its well-drawn characters that we begin to actually get to know before things take a turn into a far more clearly telegraphed third act. But it lacks a major hook that might be needed to standout in a fickle cinematic marketplace. The scares, of which there are plenty, manage to manifest themselves outside of the “jump scare” variety, which is a very good thing. A sudden loud noise or sharp shift in visual composition can be effective, but Origin of Evil understands there’s more to being truly frightening than just hitting the most basic of human reflexes with a hammer repeatedly. Shots and entire scenes actually bother to take their time building up to an earned release. The film’s biggest drawback is its final third. It’s almost a betrayal of everything that’s come before it except for the fact that the performers are committed enough to carry us over the decidedly bumpy readjustment. Ouija: Origin of Evil is a rare modern horror movie that stays true to its characters even while its logic stretches itself thin. It isn’t perfect by any means, and it certainly isn’t a new horror masterpiece that you’ll want to revisit every single Halloween. But it is a considerable notch above its contemporaries because it manages to be both scary and a genuinely cohesive film in its own right. It’s unfortunate that Origin of Evil will miss out on scaring audiences that flat-out despised the previous film in the series. 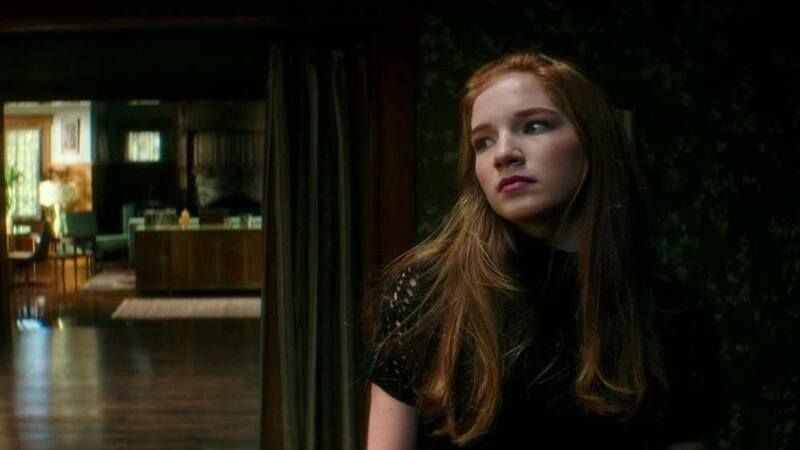 Every person deserves at least one scary movie this Halloween season, and Ouija: Origin of Evil is bar far your best (albeit, only) option at the multiplex in advance of Devil’s Night.